or you can use PKZip.exe in the Maximizer folder to compress the files you need automatically. Before compressing the Maximizer database, there are a few considerations. 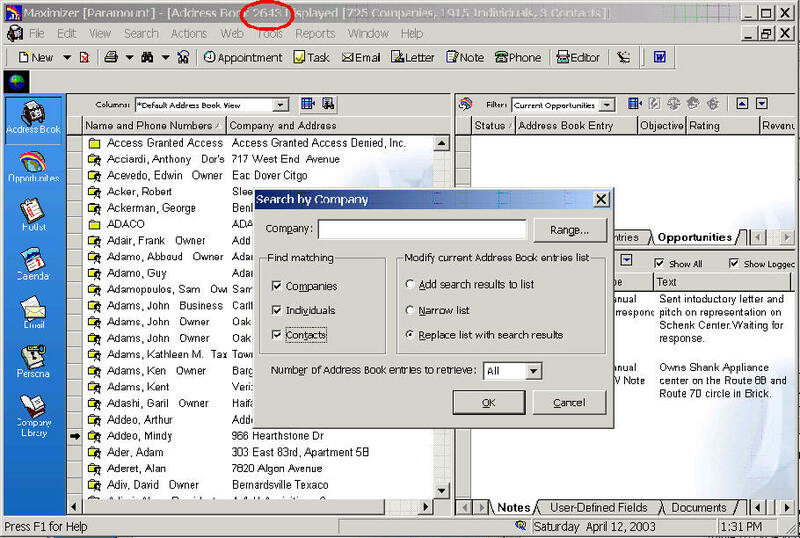 If you have more than one Maximizer database, you can save money by combining the databases in to one by yourself. Otherwise we will have to charge for the time. Here are the instructions for combining Maximizer databases. How to determine how the number of records? Then use the number of Address Book records Displayed to look up the cost on our Standard Fee Chart. MaxWin.EXE, .DLL, and .HLP files. Below this folder you will see the Books, DBMain, OrderDesk, RptSmith, and your data folders. Note that the file containing Contacts, the MXZC.MAX file should be about 1 megabyte or more. If it is only 100 kilobytes, then it is probably just the Demo file that comes with Maximizer. Then you will know if you have the right folder of files. Everyone should be out of Maximizer for this to work because if a file is open by someone on your network, it will not compress some files, and I will not have all the data to convert. Which database format do you use, SQL or MAX ? There are 3 different formats for storing a Maximizer database, SQL (Structured Query Language) format, or the more common MAX (Pervasive) format. Your database administrator should know. Or you can check under File, Open Address Book. See if it mentions SQL. 2. 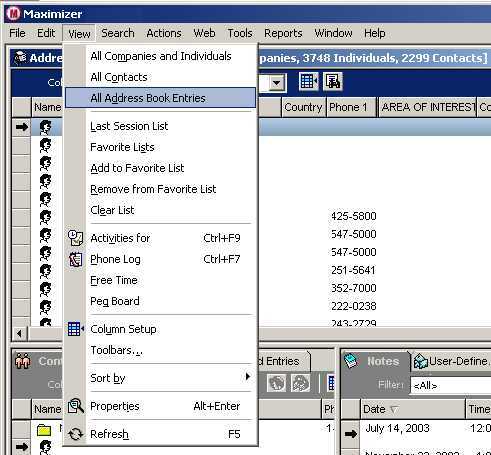 The MAX format is designed for small to medium sized databases, on desktops or laptops, with a small group of users. 1. SQL Format: If you use Microsoft SQL Server or Oracle to store your Maximizer database, you only need to send 2 large files. These would be found on your server. Please do not send SAV, MET or other unnecessary files. The MDF and LDF files are preferred because that is the most quick and direct way to send the database. You would need the Microsoft SQL Server Management Studio to temporarily detach the MDF/LDF so you can send them to us, then reattach them. We do NOT need the Maximizer software files, such as MaxWin.EXE, or any DLLs. Or, you can create a compressed "Zip" file on your own. Please do not send the \Maximizer\ATTACH folder, as this may have hundreds of Word processing, Excel spreadsheet, and PowerPoint files. These do not need to be converted.